Next, we set up the callback that handles the modified-page-list. Note that in addition to partial update provided by defio mechanims, another level of partial update is performed while updating physical framebuffer. The reasoning behind this is that the ‘granularity’ of memory management is ‘PAGE_SIZE’, which is 4KB in Wii-Linux, corresponding to 2048 pixels, or more than 3 horizontal lines of the screen at 640x*** resolution. It is uneconomic to convert the whole memory page when only part, and at most times only a very small part, for instance a mouse cursor, of the page is updated. By now, the driver is already capable of supporting framebuffer clients using mmap (path C above), such as fbdev in X. But we also have to consider those using paths A and B, otherwise we will lose framebuffer console, among other things. Apparently something is amiss, but what? There are probably dozens of ‘correct’ ways of debugging the problem, but being no expert at any of them, I went the easier way. Since fb_defio.c is the most likely suspect, I traced the commit logs of this file and came upon this patch. You may find the name of the patch author familiar, especially if you have ever browsed through gcnfb code. Yes, that is one of the key devs of gc-linux. Unfortunately, this patch has not been backported to 2.6.32 kernel series, so we have to do it ourselves. +	 * about it with VM_FAULT_LOCKED. And not surprisingly, the ‘dead’ page(s) went away after this patch was applied. There is, of course, still an important question remaining to be answered: are we doing any better with all this new stuff? Well, as far as x11perf benchmarks go, deferred IO plus partial update gives the best performance among all virtual framebuffer variations in nearly all tests. It also outperforms ‘cube’ driver in about half the tests. So the answer is definitely affirmative. This is only for those trying to compile their own kernels. This entry was posted in Linux, Wii and tagged deferred io, framebuffer, kernel, rgb, yuy2. Bookmark the permalink. But I wanted to know is it possible that the wii graphic card can work in 32bit colourdepth, because some XWindow Managers works only a half in 16bit mode. Higher resolultions I think is impossible, because of the PAL or NTSC limitation, or am I wrong? In short, the hardware can’t work in 32bit. You will have to create 32bit virtual framebuffer and transcode to 16bit on the fly to hardware. It’s possible, but requires a bit more CPU and RAM. Hi, is it possible that you can build a 2.6.32.59 kernel with mikep5, your patch and bfs, because I tried it but I’m not so good with this. I can follow instructions, but I can’t deal with compile errors. And I get compile errors, with this kernel and the three patches (bfs patch also throw Hunk failed errors). Or is your prebuilded kernel 2.6.32.41 are enough up to date for the wii? Most updates in 2.6.32 kernel releases will not produce noticeable differences on Wii, so it’s generally ok to use any usable kernel. Hi. I am glad that someone is doing new work on Wii Linux. I just got one (again, years later). 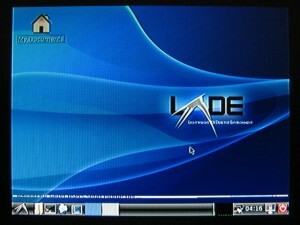 Hi, unfortunately almost all low-level Wii-hacking, especially linux-related, has stalled, and for quite some time. I don’t understand much about what happens before the kernel boots, you should probably try going through wiibrew, hackmii, bootmii and probably devkitppc sites. You can also try contacting the devs through email or irc, if you need any help. 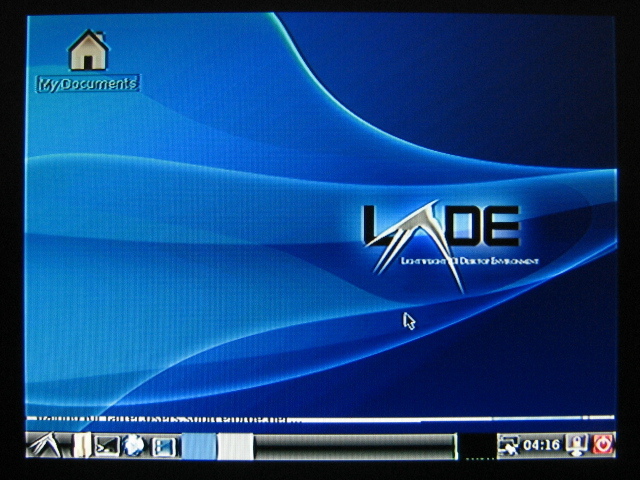 The pre-installed images both use the defio vfb driver, because cude only works in lenny and 640×480 non-overscan-safe NTSC mode. Speed-wise, the difference between the two drivers is not very noticeable. This looks like a good result, is it going to be merged into Wii Linux? It might still be useful to allow access to a physical framebuffer for playing video. Eh, it will be up to the GC-Linux devs. Video playback from within desktop environment is probably too demanding for Wii, so a driver supporting both vfb and direct access to physical fb may not be able to find many realistic use cases.